Scotland’s most famous loch is the stunning backdrop for the Club’s new glamping and campsite in the Scottish Highlands. 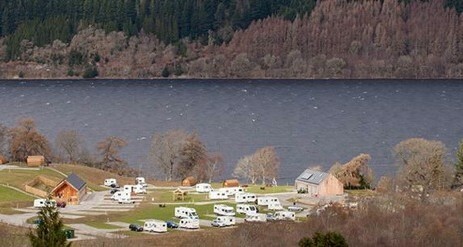 The aptly-named Loch Ness Shores Club campsite is located on the quieter south shore near the village of Foyers. The glamping site enjoys panoramic views around Loch Ness to the mountains beyond and is the perfect base for exploring the area’s historic sites like the magnificent Urquhart Castle, the charming towns and villages of Fort Augustus, Cannich and Drumnadrochit, or for getting active whether it be on foot, bike or boat. 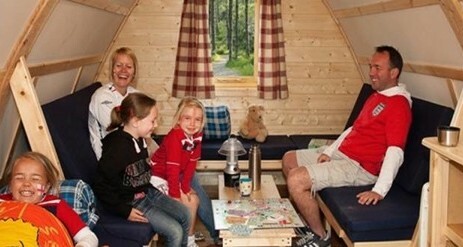 Loch Ness Shores offers the opportunity to go glamping in one of its eight luxury wooden wigwam cabins, all boasting comfy caravan-style beds. 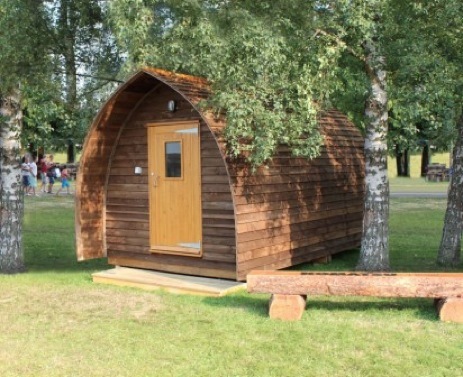 These stylish wigwam cabins are a first for the Club Site network, with four comfortably accommodating up to five, the other four, two adults and two children. The Wigwam® Cabins are sited together in an idyllic spot where they command stunning views right across the loch to the surrounding hills. Who knows, from this great vantage point you might even catch a glimpse of the elusive Nessie! 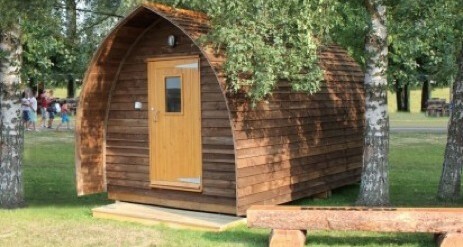 From the exterior the stylish Wigwam® Cabins elude a rustic charm. Each is lovingly crafted from locally grown timber. 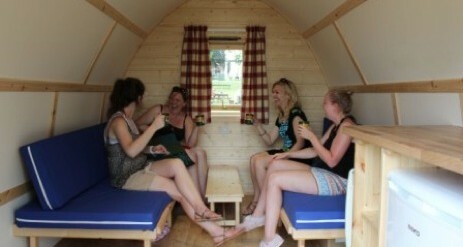 Inside the wigwams are light and airy. Each is fitted with a robust wooden sleeping platform – which is easily dismantled to open up the space for day time use – and a super comfy foam mattress for that perfect night’s sleep. An opening, double glazed window with curtain and lockable door ensure your wigwam is airy yet secure. And being fully insulated and heated you’re guaranteed whatever time of year you glamp or whatever the weather is doing outside, you’ll be snug and cosy inside your wooden wigwam. Each Wigwam® Cabin has its own picnic table, benches and barbecue area/firepit where you can burn wood purchased from reception. And it goes without saying as a glamper, you can still enjoy all the other benefits this Scottish campsite has to offer including the eco-friendly amenity block with under floor heating, home from home shower rooms and laundry (located close to the wigwams), on-site farm shop, children’s play area and wi-fi. 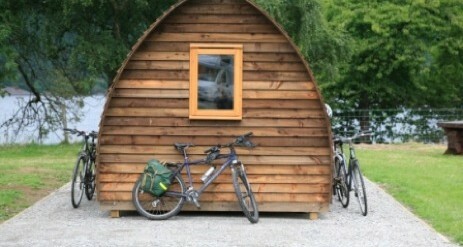 Pet friendly wigwams are available, accommodating up to two dogs at a cost of £5 per dog. Bedding is also available. Please order when booking.